A task that seemed overwhelming is finally taking shape. Just a year ago, we had an unfinished building – and a big, unfulfilled dream to begin a school for boys. 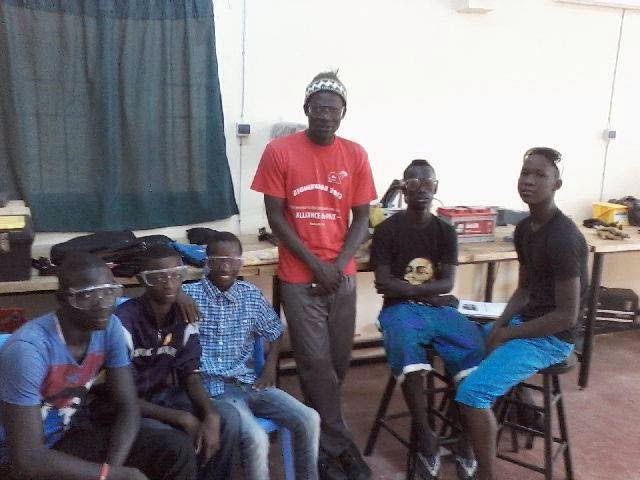 On Monday, October 20, 2014, six students arrived at our boys’ vocational center in Northwest Senegal to begin an automechanics course. We are starting small, since we have no director and just one vocational instructor, but in the future we would like to add instructors and offer courses in welding and carpentry. 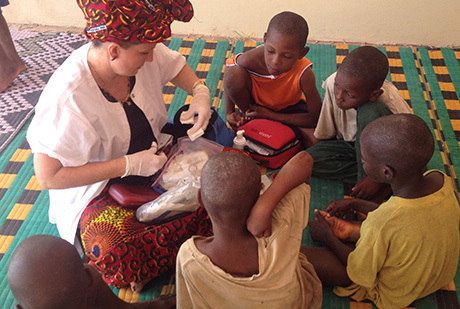 Already, in the evenings the center has also become a multi-purpose venue where local children come to play, hear stories, display crafts, perform ceremonies and receive wound care. Part of our desire has been to equip local street boys in our city with a trade which will enable them to support themselves and their families. Our dream is larger than our abilities and resources, but to come as far as we have already is a miracle! Some of our current needs are: at least one car engine and a vehicle for various labs and practical application, and more instructors to teach language, literacy and vocational courses. We will keep you posted as our dream continues to blossom into reality!